One part of what we do at Arenas Foto Wedding Photography is to help couples like you planning a destination wedding in Costa Rica have the best wedding possible by writing about topics having to do with tying the knot in Costa Rica - from wedding day makeup tips to amazing venues. If you are planning to get married in Costa Rica, are you in for an adventure! Costa Rica is an amazing country for a destination wedding. It’s famous for its gorgeous beaches along its Pacific Coast in Guanacaste and Puntarenas, its enchanting rainforests, cloud forests, mystic waterfalls and volcanoes in La Fortuna, Vera Blanca, Bajos del Toro, and Tenorio, and its unique hotels and luxury villas and resorts that are bound to make your wedding in Costa Rica unforgettable. As much as an adventure it is, planning a destination wedding has its challenges. There are language and cultural differences. What’s the climate and weather like and when are the rainy and dry seasons where your potential venues are located? If you are planning a sunset beach wedding, it’s important to know when and how fast the sun sets. Then there are the questions traveling to and in Costa Rica as well as which hotel, resort, or villa is the ideal venue for your wedding and your guests. Having an experienced, knowledgeable, creative, approachable, and professional wedding planner on your side in Costa Rica will make all the difference. The right wedding planner will make your dream beach, rainforest, cloud forest, waterfall, or volcano wedding and will work equally talented wedding-day providers to make your big day the success it should be. As with many things in life, there is an abundance of wedding planners in Costa Rica. There is only a handful of planners, however, who are worth their salt. Below, we’ve listed the top 6 wedding planners in Costa Rica you should have on your short list. We’ve based our selections on their experience as event and wedding planners and related fields, reputation, awards, attention to detail, openness, professionalism, client reviews, and other criteria. *The order in which we organized the planners appear is random. We did not organize the list according to which wedding organizer we thought was the best. Which one is best for your wedding is a decision best left to you. Larissa Banting from Weddings Costa Rica at home in her office. Based in San José, Costa Rica and founded by Larissa Banting in 2002, Weddings Costa Rica has been planning weddings all over Costa Rica - from the deep jungles of the Osa Peninsula to the wild shoes of Puerto Viejo, the beaches in Papagayo, Tamarindo, Manuel Antonio and everywhere in between. Larissa has 16 years of experience as a wedding planner in Costa Rica and 20 additional years as an event producer. She speaks English, Spanish, and French (although a bit rusty since her days living in Montreal). She was the first wedding professional in Costa Rica to be named to Style Me Pretty’s Little Black Book, is on the A-List Top 30 Destination Wedding Planners in the World for Destination Weddings and Honeymoons Magazine, is considered among the 25 Most Influential Wedding Planners in the World, is a regular contributor to Martha Stewart Weddings, and is regularly invited to invited to exclusive wedding conferences for top international planners in Greece, Italy, Turkey and France. To excel in wedding planning, you need a mix of talents, nerves of steel, compassion, a Teflon ego, creativity, and a sense of humor. I think I’ve been able to succeed due to a few factors, one being my parents producing huge events twice a year so production was part of my formation. Juggling a million moving pieces into a seamless timeline that runs like a Swiss watch was my normal (didn’t all kids’ dads produce shows for the Olympics?). As a professional dancer, I developed my creativity and ability to literally think on my feet. After dancing, I moved into publicity, special events, and then television and film production. Surviving a decade in the high-stress world of film taught me how to schedule like a boss, what VIP treatment for stars truly is, and how to work as a team to move mountains. All of my wild and wooly experiences influence my work as a wedding planner while my desire to always improve and stretch myself (once a dancer, always a dancer) spurs me onwards, since I’m only as good as my next event. To learn more about Larissa and schedule a chat, visit her website at Weddings Costa Rica. Barabara Broutin of Four Ninteen Weddings in Costa Rica at a café having a coffee. Four Nineteen Weddings was founded in 2011 and is based in Playa Grande, Guanacaste and is owned by Barbara Broutin, its principal designer and planner. Barbara has been planning weddings in Costa Rica since 2004 and can plan your destination wedding anywhere in Costa Rica, from its gorgeous Pacific Coast and Caribbean beaches to its amazing jungle, waterfall, and country venues. In addition to panning destination weddings in Costa Rica also plans weddings at international venues, primarily in Italy. Barbara has 14 years of experience as a wedding planner, is a native Costa Rican and speaks English, Spanish, Italian, and French. Four Nineteen Weddings has been awarded Wedding Wire’s Couple’s Award for the past six years. Four Nineteen Weddings specializes in lovely and luxury weddings with a “distinct less-is-more vibe and fine attention to detail”, that range in size from 20 to 250 or more guests, and does not offer wedding planning services for elopements. I am one of the few - if not the only – Costa-Rican born and raised wedding planner who specializes in Costa Rica destination weddings and who is actually based in Costa Rica. I understand Costa Rican culture and the way things are done here, and having lived in the US and Europe, I am very in tune with what our client base is looking for and expects. I excel at translating our clients’ vision into reality taking into consideration what can be created and produced in Costa Rica. What really makes me one of the best at what I do is that I truly love and enjoy weddings and wedding planning. It gives me the opportunity to help couples create their dream wedding, allowing me to be surrounded by happiness while doing what I love. I don’t think anyone could ask for more. For more on Barbara and Four Nineteen Weddings, visit her website, Four Nineteen Weddings. Susan La Reau of Susan La Reau Events at home taking a break from planning weddings. Susan La Reau Events, founded by Susan La Reau in 2014, is based Costa Rica and in Massachussets. Susan has been planning destination weddings in Costa Rica since 2008 and weddings in the Boston, Cape Cod and South Shore areas - including Martha’s Vineyard and Nantucket - since 2014. Susan and her team can plan your dream destination wedding anywhere in Costa Rica your heart desires - Tamarindo Beach, Flamingo Breach, Hermosa Beach (Playa Hermosa), Jaco, Peninsula Papagayo, Manuel Antonio, any of the other amazing beaches in Guanacaste and Puntarenas Provinces, as well as in San Jose, Perez Zeledon, and the Arenal and La Fortuna. 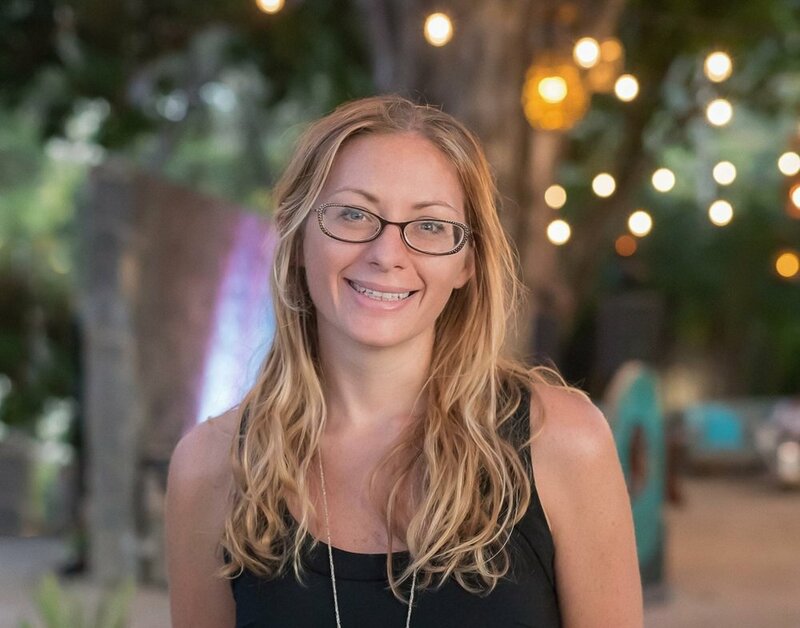 Susan La Reau - a native of Costa Rica who speaks English and Spanish - has 10 years of experience as a wedding planner, 10 of them planning destination weddings in Costa Rica since 2008 and 4 years of experience planning weddings in the U.S. Northeast and in Costa Rica since 2014. Susan La Reau Events specializes in planning weddings that are exactly want their clients want, be it a boutique, luxury, minimalist, ethnic, religious, LGBT wedding that ranges in size from 20-250 guests, as well as elopements Susan believes in love in all its expressions! My experience in customer service and as an events planner at luxury international hotels and wedding venues gave me a great background in planning weddings. I began my career working as the Events Manger at the JW Marriott in Costa Rica, then as the Conference Service Manager and Wedding Specialist at the Four Seasons at Peninsula Papagayo, Costa Rica. After eight years in the hotel business, planning an average of four high-end events per month, I decided to venture off on my own and become a full time business owner when I started Susan La Reau Events. That decision has fulfilled my heart, providing me the opportunity to do what I love every day! I’ve planned everything from extreme high-end luxury weddings to the most simple and rustic of weddings. After I found the love of my life - Adam, who is from the U.S. - I moved to Massachusetts where I started my wonderful life with him. I now travel between Costa Rica and Massachusetts and plan destination weddings in Costa Rica and weddings in in the Northeast. Also, I’m a Costa Rican native and have lived in the U.S. for a number of years, so I know how things work in Costa Rica and am in tune with my U.S. and international clients’ needs and wants who want a destination wedding in Costa Rica. Visit Susan La Reau Events for more info on Susan and her wedding planning services! Kristina Ulrich from Perennial Weddings in Costa Rica. Founded in 2009 in Tamarindo, Costa Rica by Kristina Ullrich, Perennial Weddings plans destination weddings all over Costa Rica, but primarily in Tamarindo, Manuel Antonio, Jaco and Herradura where there are amazing beaches and wedding venues, as well as in La Fortuna, which is known for its breathtaking volcano, lush tropical jungle, resorts with thermal springs, and a remarkable waterfall. Kristina has 13 years of experience as a wedding planner, 10 of which she has spent planning weddings in Costa Rica as the owner, designer, and coordinator of Perennial Wedding, speaks English and Spanish, and is a Little Black Book Member with Style Me Pretty and Junebug Weddings Member. Perennial Weddings plans elopements to weddings with over 140 guests that are more boutique or custom as Kristina really enjoys creating a unique experience for each couple and their guests. She planned ethnic, LGBT, luxury, and minimalist among many other types of weddings. For Kristina, she enjoys them all! I want to give all brides and grooms, as well as their guests, the most beautiful, unique, personalized and special day possible. I also want to make the planning process fun! I pride myself on not only keeping the process stress-free, but also enjoyable. Planning your wedding is a special time. It's a special time and may only be a year or so you can say the words, “my fiancé”, so you should enjoy it. It’s important to me to make the planning process an exciting and happy time! I also understand that its not easy to plan a wedding internationally, given you may never meet your coordinator in person, so it’s vital to me to be understanding and flexible. This is how I approach every wedding. For me, each couple is different, and I always want their wedding to reflect their uniqueness. So, I work closely with each couple to create a very custom, very specific wedding experience. It makes me happy to make couples happy! For more info on Kristina and her wedding planning services, visit her site Perennial Weddings. Meghan Cox of Mil Besos Weddings. Mil Besos - A Thousand Kisses - founded in 2008 by Meghan Cox, has offices in Costa Rica, U.S. and Spain, with teams based in Tamarindo, La Fortuna, and Manuel Antonio in Costa Rica that plan weddings all over Costa Rica, from its Pacific beaches in Guanacaste and Puntarenas, to the tropical rainforests in La Fortuna and cloud forests in Vera Blanca among other locations. Meghan has over 10 years of experience planning destination weddings in Costa Rica, speaks English and Spanish, has won Wedding Wire’s Couples Choice Award for multiple years and is named among the Worlds Best Wedding Planners by Junebug Weddings. Mil Besos accommodates elopements and wedding with up to 300 guests and welcome couples of all ethnicities, religions, and orientations. Our promise is to celebrate your love story. We are here to provide a complete guided experience for planning your destination wedding in Costa Rica. One of the first questions I ask couples is how they met and for their love story. For me, it’s an important glimpse into their personalities and gives us the vibe we need for creating this next chapter in their story. We believe in luxury without pretension, quality experiences with guests, and that every couple and wedding is unique. Marianne Fischel from Bliss Weddings. Bliss Weddings Costa Rica, founded in 2012 by Marianne Fischel, is located in Santa Teresa, Cobano on the Nicoya Peninsula in Guanacaste, Costa Rica. Marianne plans wedding all over Costa Rica, from its Pacific Coast beaches – she loves Santa Teresa weddings – to its Caribbean beaches and all the amazing wedding venues in between. Marianne has a degree in hotel management, 8 years of experience as a wedding planner - 6 of them planning destination weddings in Costa Rica for Bliss Weddings - speaks English and Spanish, won the best wedding category for the 7th Edition of the Belief Wedding Planners Award. Bliss Weddings Costa Rica accepts elopements and can mange weddings with up to 300 guests. Marianne loves destination weddings, weddings with character and uniqueness, filled with details and love! She caters to all brides and grooms and loves planning any type of wedding from the most luxurious to the more casual affairs. One of my true passions is creating unique and personalized weddings, transforming couples’ ideas and vision of their wedding day, working closely with couples to know what their needs and wants are. It’s a special time in their life and it’s a very special day, and I enjoy making it all happen. I understand planning a destination wedding from another country is challenging for many reasons – language and cultural differences, not being able to meet your wedding planner in person, unfamiliarity with wedding venues among others – so I develop a great relationship from day one with my clients so they can relax and enjoy the wonderful process of planning their dream wedding in Costa Rica. Having been born and raised in Costa Rica and worked in many of the most prestigious hotels and resorts as an events planner and manager has helped me make Bliss Weddings Costa Rica a success. I understand the clientele, what they are looking for, and the customer service they deserve. Being a Costa Rican wedding planner, I’ve come to know the best hotels and resorts and other unique wedding venues, chefs, caterers, florists, bakers, decorators, photographers, and videographers to make your wedding day the best it can be. Visit Bliss Weddings for more information on Marianne and her wedding planning services. Aimee and her team at the beach. Tropical Occasions, established by Aimee Monihan in 1999, has offices in Manuel Antonio and Tamarindo Costa Rica, as well in Denver, Colorado, U.S.A. Aimee and her team can plan your destination wedding anywhere you want in Costa Rica, from the gorgeous beaches in Uvita, Tamarindo, Papagayo, Manuel Antonio and others in Guanacaste and Puntarenas, as well as the tropical rainforests, cloud forests, waterfall, and volcano venues in Costa Rica’s interior. Aimee has been planning weddings for 21 years, 19 of them planning weddings in Costa Rica. She and her team speak English and Spanish, and a bit of French, and Portuguese. Tropical Occasions is considered a top wedding planner at Junebug Weddings, Ruffled Weddings, and Maharani Weddings, and has been featured in in Brides.com, Destination i Do, Destination Weddings, The Knot, Confetti, Style Me Pretty, Style Me Pretty Little Black Book, Destination I Do, Maharani Weddings publications and websites, is on the Destination Weddings & Honeymoon A List, and is considered one of the The Worlds Best Wedding Planners and Designers. Aimee also holds a position on the Elite Engage Conferences production team. The famous best of the best luxury weddings conference held all over the world. A incredibly coveted position that Aimee was invited by the founders to fill. Tropical Occasions are strong believers in the human connection, a world of inclusion and equality, Therefor we work with a wide range of amazing clients to bring out their personalities & make their wedding a true reflection of who they are. We are also the only company in Costa Rica with a vast experience with traditional Indian – South Asian weddings and fusion Indian weddings. My team and I are committed to celebrating the people and cultures of the world in the various ways couples express the love they have for one another on their wedding day. I was born and raised in what is considered one of the most diverse neighborhoods in the world – Seattle’s Central District. The unique and common traits among individuals with diverse backgrounds all over the world has always captured my attention. I’ve always respected and taken pride in the cultural and ethnic traditions of other and have always been comfortable with being part of these experiences as are my colleagues. Our cultural experiences at home and in other countries has influenced who we are and how we see the world, which has formed our vision of diversity and of happiness and love that we infuse into planning weddings. Doing what we do makes us happy. Exploring joy broadens our hearts and minds. For us, there should never be a lack of happiness. That what we do comes from our heart, we know our clients and guests will also experience our joy. We believe in the fine art of celebration, of creating lasting memories and we know that the importance of a memory is found in the details and the experience. Learn more about Aimee and her team and se if they are the right fit by visiting Tropical Occasions. We have nothing but good things to say about all these wedding organizers. They are all highly professional and great at what they do. We recommend you have a conversation with each one to see which one is the best fit for you and your dream wedding in Costa Rica. Have you given any thought to your wedding photography and wedding photographer? We’d love to hear about how you and your fiancé met, how you imagine your big day and wedding photos, and see if we are the right photographers for you.